The Lake District has inspired people for centuries and has become one of the most popular holiday destinations in England. 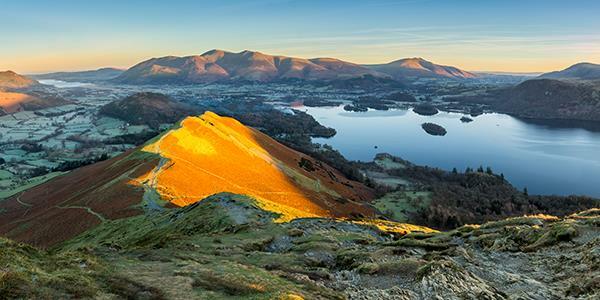 Of the 15 National Parks in the UK, the Lake District is the second largest with an area of almost 2,400 km2. This beautiful region is famous for its lakes and fells, rich moorland and stunning wildlife. 500 million years worth of geological processes have made it home to the highest point (Scafell Pike) and the longest natural lake (Lake Windermere) in England. Why are we so obsessed with the Lake District? But our landscapes have not always been viewed with such awe. William Wordsworth was one of several 'Lake Poets', writing during the 19th century. It was the influence of Wordsworth and other Romantic poets that began to alter people's perceptions of the countryside. What was once seen as wild, remote and intimidating was now considered idyllic. The English countryside was idealised and praised in a lot of contemporary poetry, for example through repeated themes in Coleridge's works. Wordsworth, who spent a great portion of his life living in the Lake District, and has become associated with its pastoral acclaim, described the landscape here as “a sort of national property, in which every man has a right and interest who has an eye to perceive and a heart to enjoy”. Appreciation of the countryside continued to grow. By the 1930s activity enthusiasts and nature conservationists such as The Rambler's Association and the Council for the Preservation of Rural England were rallying together to convince the government to protect our country's special places. This finally happened in 1949 when National Parks were established in order to preserve and enhance natural beauty, while providing recreational opportunities for the public. Two years later the Lake District was designated as one. It has been growing in popularity ever since and is now viewed as an incredibly beautiful place, receiving more than 17 million tourists per year! 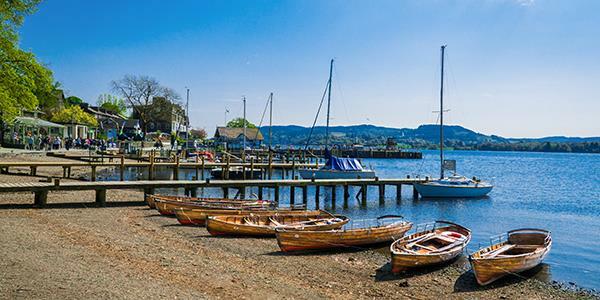 As the largest, Windermere is a great one for water sports and activities. You can take a boat out on the lake or enjoy a day out with one of the adventure companies based around the shore. There are also steamers and launchers travelling back and forward if you fancy taking a relaxing journey across the water or a visit to National Trust's Wray Castle on the west shore. Ullswater is another good one for sports and boating. If you fancy a pretty walk, it is around the shores of Ullswater that you'll find the famous Aira Force waterfalls. Coniston Water is home to the National Trust's Victorian Steam Yacht Gondola and John Ruskin's Brantwood House. 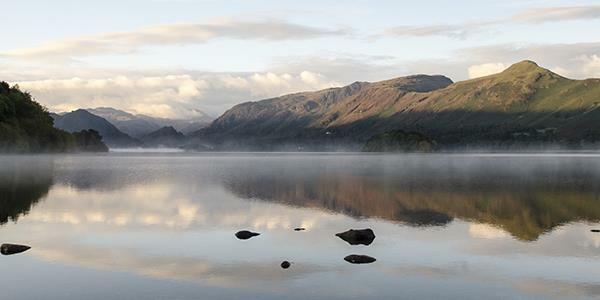 Derwentwater is a picturesque location for walks, and it was here that Beatrix Potter spent her summer holidays, inspired by its beauty to write some of her most famous works. There are a number of adventure activity companies as well as boat hire. You'll spot pretty little islands in the lake and the surrounding Borrowdale woodlands are home to red squirrels. As the location of the Lake District Osprey Project, Bassenthwaite is a great one to visit if you're a keen birdwatcher. 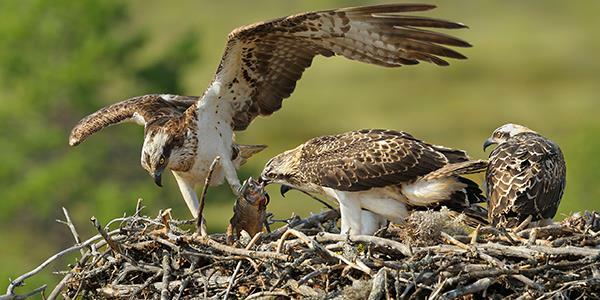 The stunning birds of prey return to breed each year in the woodland overlooking the lake. You can visit the visitor centre to learn all about the successful recolonisation project that was established here in 2001. Grasmere was Wordsworth's home for a while where he lived at Dove Cottage and then Allan Bank with his sister Dorothy. You can visit Allan Bank which is now in the care of the National Trust. The Lake District is an area of immense beauty and grandeur whose incredible scenery is characterised by the striking contrast between the fells and dales. It is also home an array of wildlife in its vast variety of habitats such as red squirrels, rare fish and a number of bird species like kites, buzzards and ospreys. Red deer can also be spotted and fell ponies wander in the mountainous, moorland areas. At 978 metres above sea level, Scafell is England's highest mountain and it's located just to the east of Wast Water. If you want to challenge yourself there are several walking routes that will lead you to the summit. Many tourists start their route from Wasdale Head where there is a little car park you can use. From here you can take either the Corridor Route or the Wasdale Route. 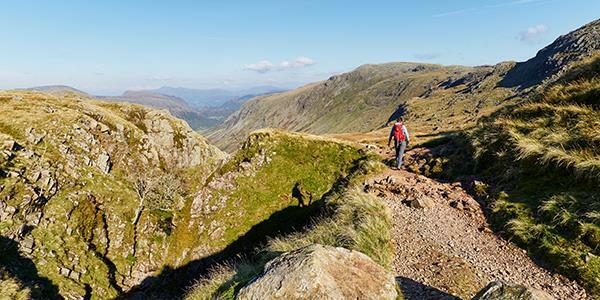 If mountain climbing isn't quite for you, fear not, the Lake District is crisscrossed with a whole network of public footpaths and trails. Take a look at a few here and here. Stay at Braithwaite Court in the heart of the Lake District and discover all these amazing places for yourself. Enter your details at the bottom of the page to find out more and receive a free brochure.